﻿On Friday April 18, 2014, I achieved a goal I have been striving for since my first National Title win. 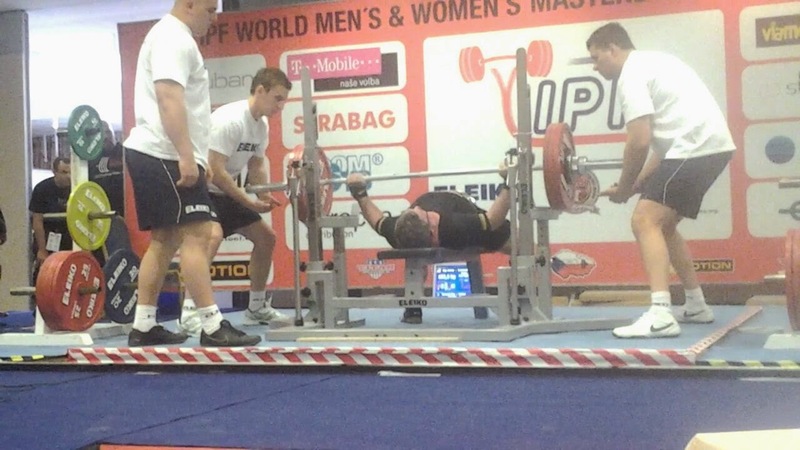 I won the IPF Masters World Championship Bench Press Meet. It is interesting, the fact that the weights you hit in the gym don't always equate with what you will hit in a meet at this level. Things like time zone differences and changes in sleep patterns can make a big difference. Judging also tends to be more strict at a meet of this caliber. My USA Team coaches were fantastic and it is with great thanks to them I achieved this goal. I also should thank my lifting coach, John Bogart, who has assisted me in hitting heavier and heavier weights in my training sessions. Then there is former World Champion, Sean Culnan, who gave me some great advise regarding my opener. Sean advised me, as did my coaches, to lower the weight for my opener. As it turned out, just my opener at 200kgs would have won the meet for me. I am so thankful for the valuable advice and assistance from both of these men. My training partners were also key to my being able to win this event. This is where I want to address the importance of surrounding yourself with great people. My people include my training coach, John Bogart and my training partners, Johnny O, Johnny Z, Dan Howsman, Hope LaFreniere and, of course, my girl Jeannine Trimboli. These people are my strongest supporters yet also give me honest lifting critiques. 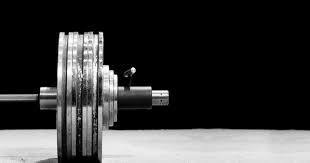 When you are lifting and looking to compete you don’t want people to only tell you "how great your lift looks". You want them to tell you what you did wrong, even if you completed the lift. For example, there have been lifts I made in the gym that were some pretty heavy lifts. Instead of simply being impressed, my training partners would be the first to tell me it looked like crap, and I was lucky to even get the weight up. This type of constructive criticism is very important. Yes, I want to hear how good a lift is, but I also want to know when I am doing something wrong. I was lucky enough that my opening lift won the meet and my second lift simply secured the win. However, what weighs on my mind is that I missed my third attempt. I did not transition my left elbow under the bar fast enough and missed a lift that I have hit easily over the past 2 months. There is always something to learn from every meet. If you watch my lifts in the video below you will see my first lift was not as clean as my second. This is because I stayed tighter in my second lift, even though the weight was heavier, it went up easier. My coach was messaging my team mates while he watched the live stream and made a point of telling them to tell me to stay tight. Lastly I want to thank all the people who helped me to actually travel to this meet. It gets expensive traveling as a member of the USAPL World Bench Team. My friend Jim Kelly, when he found out I was on the World Team, took it upon himself to put together a benefit concert for me. While he was disappointed that the turn out was smaller than he anticipated, I was just thrilled that someone took the time to do this for me. I also want to thank those who helped me out through the GoFundme website. I am a blessed person. The money raised was enough to cover my hotel expenses. Training last night consisted of hitting an easy opener in a loose bench shirt. I did this in case I discover that I'm having an off day during warm ups, the day of the meet. Let's just say my opener in the last night's loose shirt is still more than what won last year’s world meet. Also, at this point in training, with the meet date quickly approaching, it is important not to over train and have my central nervous system shut down. It looks like I will peak just right. With your help and support, Gold medal here I come. That was my lifting update for you, now for the quote of the day. Quote: " I view my strongest competition as myself. You're always trying to top yourself, rather than worrying what other people are doing" by: John C Riley. John C Riley is an American actor, and while I don't normally like to quote and actor, I totally agree with this statement. I am always competing against myself whether it is in the gym, at work, or in a competition. I want to best my previous performance. My workouts consist of weekly PR's, at least that is the goal. I strive for a personal record as small as half a pound. Yup you heard me half a pound. One week it may be a 5 rep max, the next a 4 rep max and so on. I always try to keep pushing. If you are training just to be more fit you can apply this to your workouts as well. 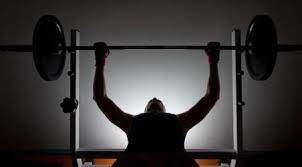 Each work out attempt one more rep, or half a pound more. If you are a cardio enthusiast then try to beat your time by a few seconds or go a little longer if you are a time person. Whatever the case may be simply push yourself a little bit. OK OK now you going to say, "Let's see Jim apply this to diet"
You know every day when you wake up you have a goal to keep to your diet. Make this a competition to get through the day without cheating on your diet. If you do cheat, plan on doing better the rest of the day, and the next. If you're one of those people that never cheat, like me when I first went on a low-carb eating plan, you are still in a competition of maintenance. You will have family and friends telling you, that you are doing fine and it is OK, to cheat a little, the competition is still within yourself to adhere to the principles you set for yourself. Tip: I have noticed lately how important it is, when I train people to teach them to stay tight. Sometimes especially when training a teenager it is even more an issue of coordination. Sometimes they grow out of their body, meaning they lose some coordination due to growth spurts. It is important to keep this mind with teens as they go through these growth spurts. For those of you that are new to my blog, what you will find here is my reflection on diet and exercise. 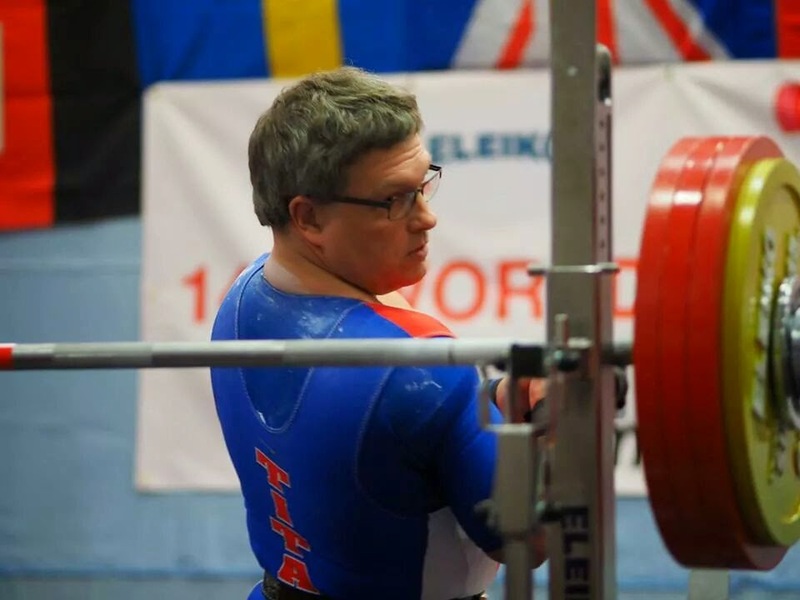 As a once obese man, and now a successful, competitive lifter, I tend to reflect a lot and have a lot to say. Sometimes much to the chagrin of my fellow competitors. I have been called self promoting and other things that are not so flattering, but what these critics don’t understand is this. I do what I do and post what I post to show others that you can make the changes you desire in your life the same way I did. I am not saying that you need to push to the same extremes I do, just that if you so desire to make a lifestyle change to be healthier, I know that it is possible, because I was just like you not too long ago. He literally had a common sense approach to things. I find personal reflection extremely important. I even apply it to diet and exercise. As for my diet, I often take the time to review and reflect what made me successful in staying on course or why I may have failed in my attempt to be consistent with my diet plan for that day. Sometimes it is due to poor planning on my part that I may fail, other times it is even simpler than that. LACK of willpower. Yes, willpower is sometimes a challenge even for me and I have been eating clean for a few years now. My exercise schedule is constantly changing as I reflect on my goals. Each training cycle involves a time for reflection on how successful it was or was not. I make a point to speak to my training partners all the time. I also engage in discussions with the people I train. I am consistently asking them how they feel certain exercises are affecting them and what they thought of their training sessions. I was thrilled to hear one of my younger trainees recently say how he has gotten stronger in the two months since he started working with me and that he has seen greater gains in that short time than he had in the past year and a half working with his team at school. This shows his reflection on his training and in this case it was very uplifting for him. Sometimes this is the true benefit of reflection. The boost in confidence in knowing that what you are doing is successful. Tip: Set aside time each week to reflect on your diet and exercise program and it will benefit you in many ways.